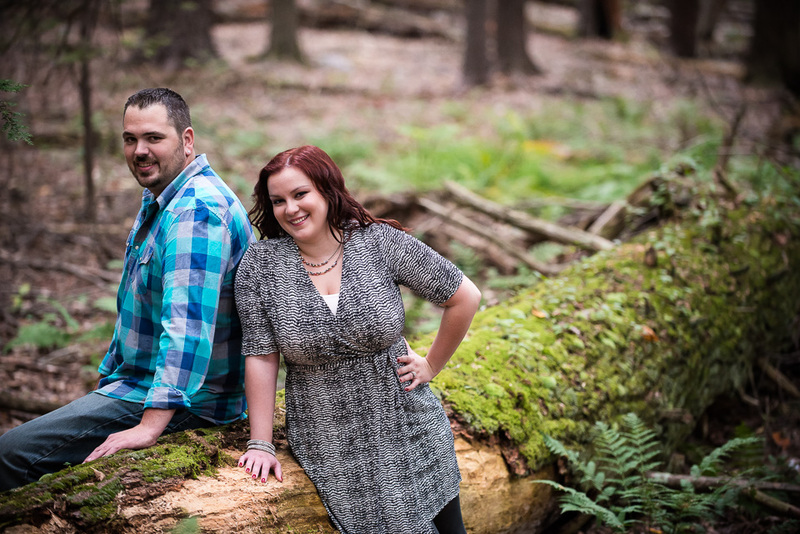 A couple of weeks ago Bob and I did some engagement photos for our new friends Sarah and Scott. 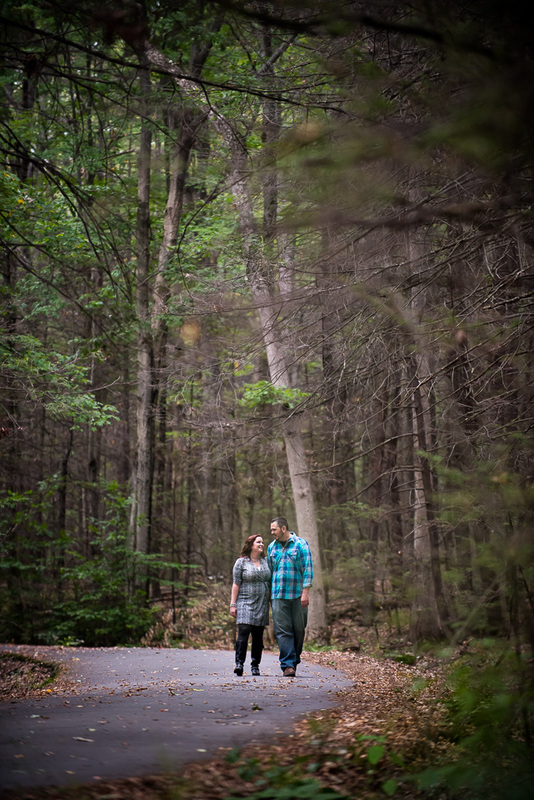 And we did them at a familiar location – Lake Scranton. To me it’s always a challenge to do photos at a place so recognizable. I think there is a real danger of being colored by other work you have seen there. Because let’s face it, Lake Scranton is a place where a lot of photos are done. But that’s also the challenge, and one we love. It’s a blast to go to a place you know and find different ways to see it, to find different spots off the beaten path and to produce images that are really different from ones you’ve seen before. It also doesn’t hurt when your couple is willing to do a little bushwhacking to get off the beaten path. And Sarah and Scott were up for anything and everything. So we spent a couple of hours, bouncing around the paths – some that were there – and some that we created. We think we found some cool stuff and with Sarah and Scott and their enthusiasm it was a great day at the lake. But it also didn’t end there. We then headed down to Steamtown around sunset – and a little past sunset – to take a crack at some photos there. Their photos are some of my favorites. It was great hanging out with our new friends and some familiar places laughing and creating some photos we hope they love. Enjoy. And thank you for reading.